Our driver will pick you up from your hotel, and transfer you to the starting point. Bring camera, sunglasses, sunscreen and comfortable cycling clothes. You will start with a ride out of town on a small road following the river. First we ride out of town as local children are departing school. 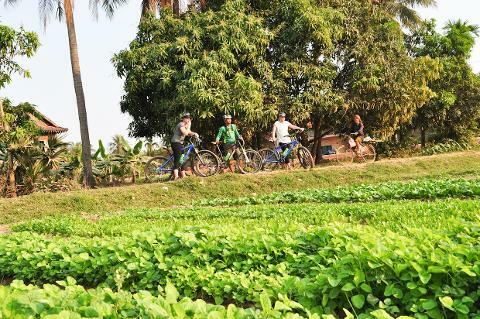 We then cycle the quiet back roads to villages surrounded by rice paddies, leaving the the bustle of Siem Reap behind us and exploring the charms of rural Cambodia. Bathe in the bucolic bliss of countryside life as we watch farmers return home with their buffalo. Taking some time to explore a crocodile farm and vegetable farms before enjoying an iconic sunset over the palm trees, weather permitting. From here we ride a red dirt road and then some great small tracks back to town. You can expect to return to Siem Reap around 6:00pm. Please note: Appropriate dress should be observed throughout in traditional rural areas for reasons of cultural sensitivity. 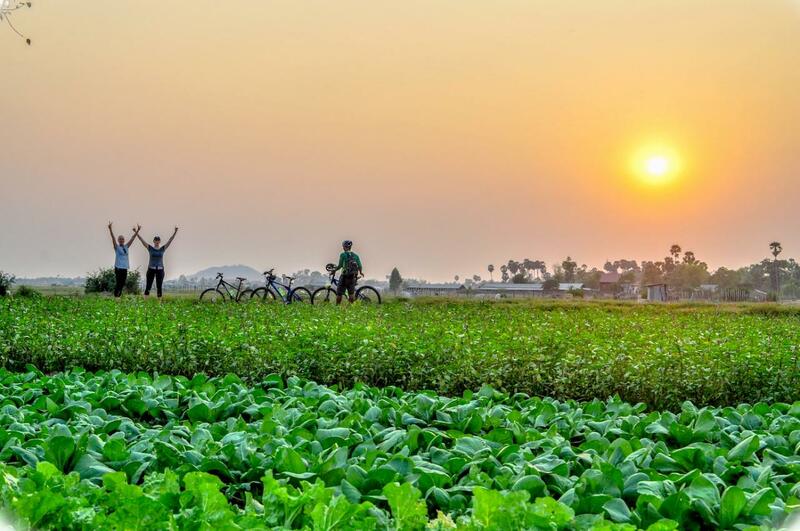 This ride is predominantly on flat tracks and small roads - there are no hills in the area so anyone who can reasonably ride a bike can do this tour. There are some sections on small dirt trails so beginner riders should not choose this tour.